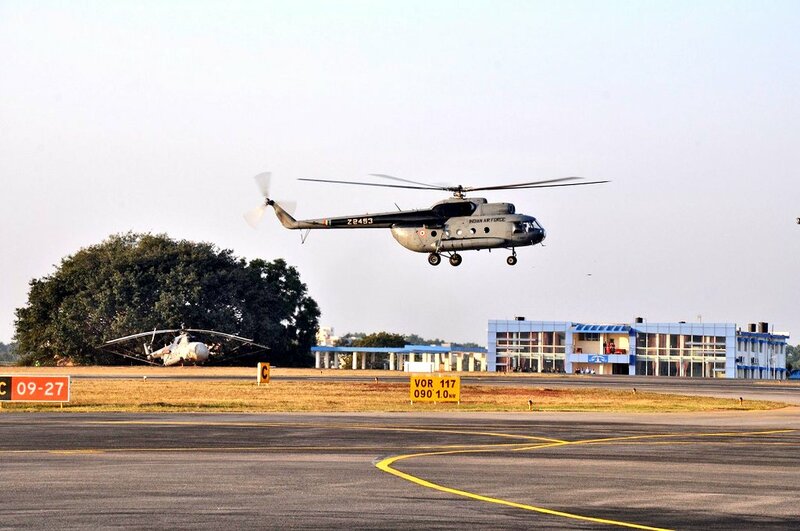 Bengaluru, Dec 18: The Indian Air Force's Soviet era multi-utility medium lift Mi-8 helicopters were phased out of service in a ceremony at the Yelhanka Air Force Station here on Sunday. The phasing out ceremony was attended by veterans headed by former IAF chief, Air Chief Marshal Fali Homi Major (retd), who flew the last MI-8 mission along with CO 112 Helicopter Unit. IAF Training Command chief Air Marshal S.R.K. Nair, was the chief guest at the event. National Defence Academy Commandant, Air Marshal Jasjit Singh Kler, the senior most MI-8 pilot, was also present on the occasion. 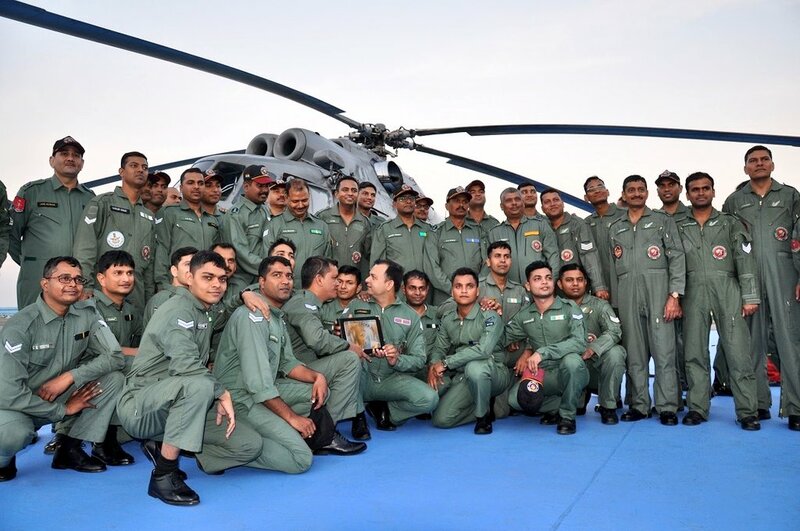 "The de-commissioned choppers will be handed over to the agencies concerned for static display and to motivate the youth to join the armed forces," said Nair as the vintage craft took a bow before flying into the sunset. MI-8, called Pratap, had been the backbone of the IAF's medium lift combat capability. Though the twin-turbine copter was mostly used for air-lifting warriors, troops and goods to remote and inaccessible areas, including the mountain ranges, its armed variant with gunship was an airborne command post. The MI-8 helicopters arrived in India in 1971 at Bombay and were formally inducted in the IAF helicopter inventory in the year 1972. Between 1971 and 1988, 107 were inducted and served for 45 years. The MI-8 formed 10 operational helicopter units and it operated in several major IAF operations including Operation Meghdoot in the Siachen Glacier and Operation Pawan in Sri Lanka. The helicopter also operated extensively in humanitarian and disaster relief operations across the length and breadth of the country. It was also used for ferrying VIPs and VVIPs for decades. "MI-8 through its glorious service career, did not just establish itself as a mainstay of the helicopter operations but also left an indelible mark on the future by providing the Indian Air Force with a lineage of professional helicopter aircrew," an official statement said.